You can easily switch to a different version of PHP from the One.com control panel. The PHP versions that are available for you to choose from, depend on which versions are currently being supported by PHP.net. Keep in mind that it takes 20 minutes for the change to take effect. If you have a site with a lot of visitors it can take even longer. Log into your One.com control panel. 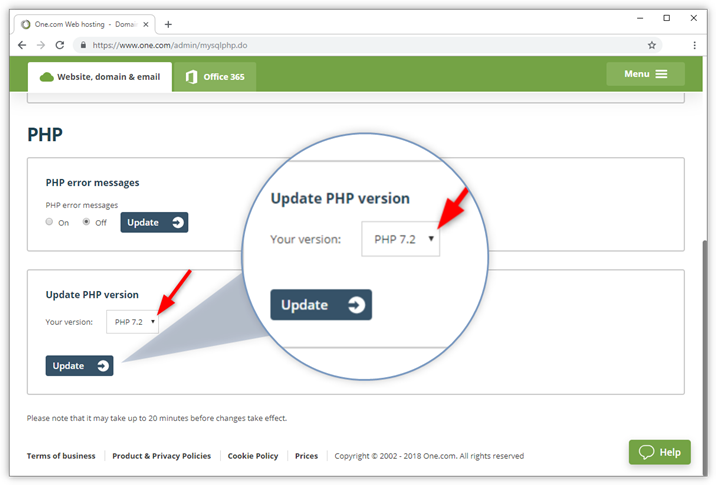 Scroll down to Update PHP versions. Select the PHP version you want to switch to and click Save.